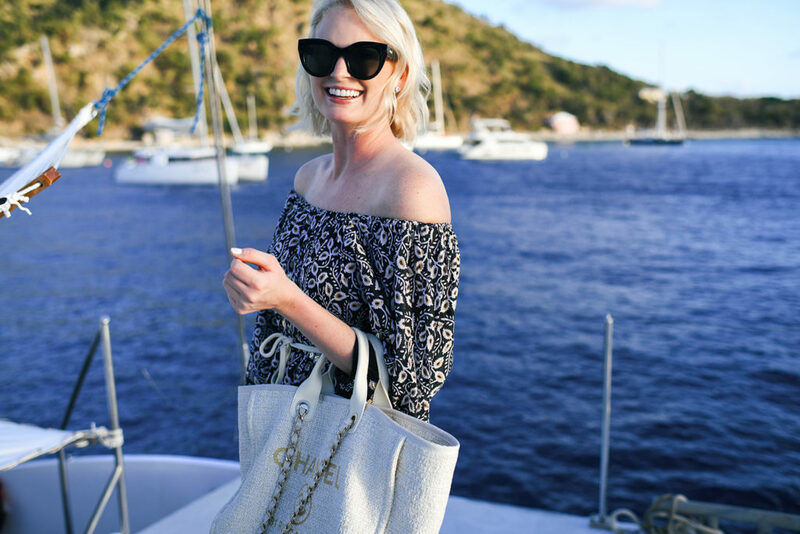 I’ve had my eye on a number of Juliet Dunn pieces over the last couple of years (really, ever since she came on my radar) and finally picked up something ahead of my BVIs trip! 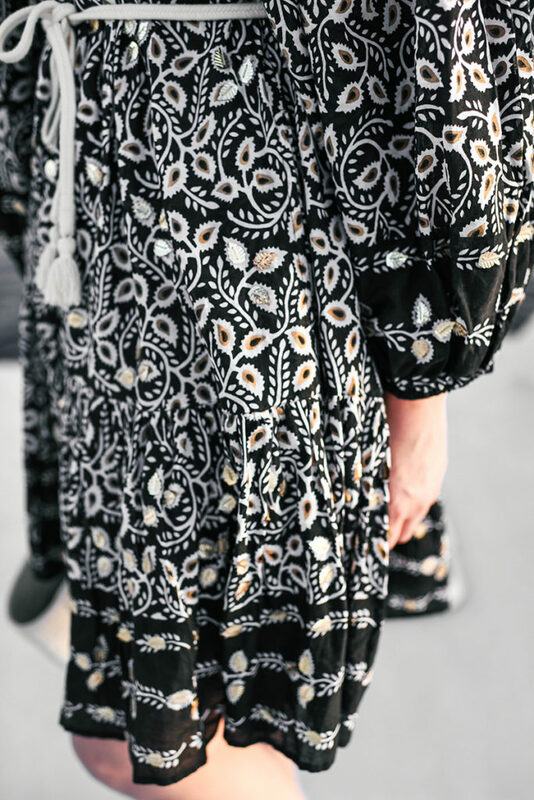 She’s known for her effortless beach-to-dinner styles that work as a cute coverup or pretty date night dress. I loved the black, white and gold color scheme of this one, especially with the beautiful gold leaves embellished all over! So pretty. I also really love how lightweight it is. I know it’s going to be useful once the temps heat up here in Dallas this summer! You can wear this one on or off the shoulder, and it has an optional matching belt to cinch in the waist too. I switched that out for this old rope belt for this trip, but I definitely will be using the matching belt later this year! OBSESSED with this broderie anglaise button-down. Such a great statement staple for summer! This piece looks like it could be worn as a dress, tunic or jacket! Such pretty embroidery. This print also comes in this mini dress style! Loving the soft and effortless hand-painted floral print on this midi dress! Gorgeous. Adore this blue minidress with white embroidery for more casual summer wear. Super cute! Also love this pale pink one. This mirror-embellished dress screams “BEACH” to me! Such a chic piece. Here’s another breezy off-the-shoulder style. Love the yellow accents! Love this dress! What a fun piece to pick up! What a gorgeous dress, I just love the print. The rope belt was a fun swap for your boat photos!